— Remark by a volunteer during the home cleaning. 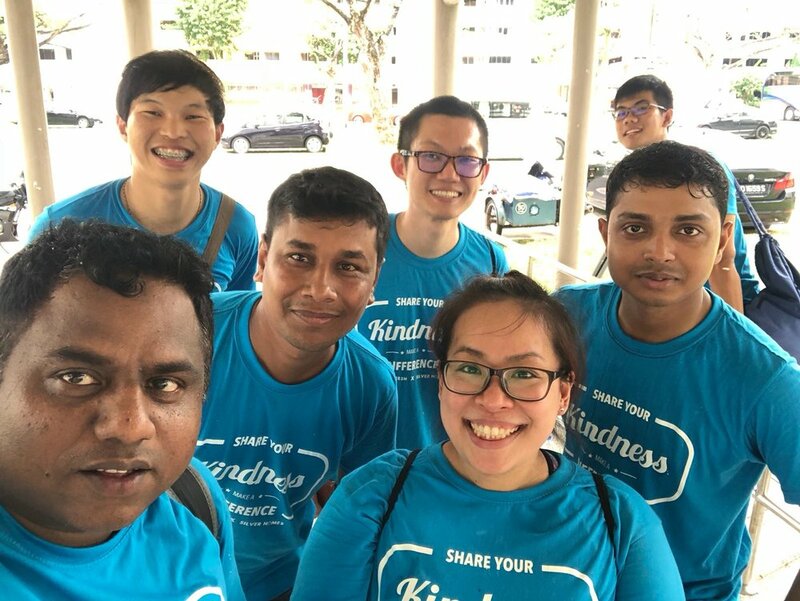 A total of 36 elderly households in Ang Mo Kio, Telok Blangah and Geylang East were revitalised as part of Blossom Home Refresh 2018. 334 volunteers came together on the 1st of September, including students and staff members of Curtin Singapore, Ngee Ann Polytechnic, West Spring Secondary School, Regent Secondary School, Old Street Bak Kut Teh, T&S Engineering Construction Pte Ltd and the Diploma Marine Engineering Association Bangladesh Singapore. 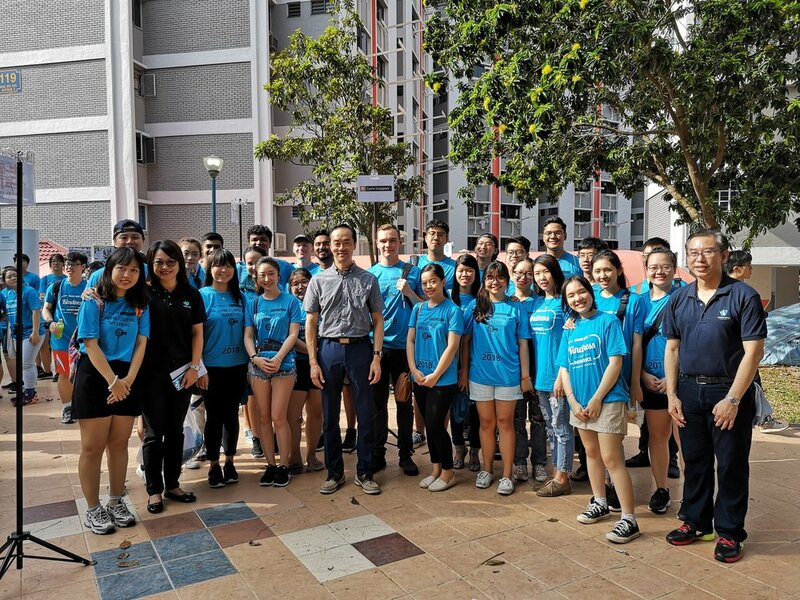 “Interaction is not something that money can buy…it must come with effort from every one of us who has the inspiration and desire to bridge the gap,” said Dr. Koh Poh Koon, MP of Ang Mo Kio GRC, who opened the event. 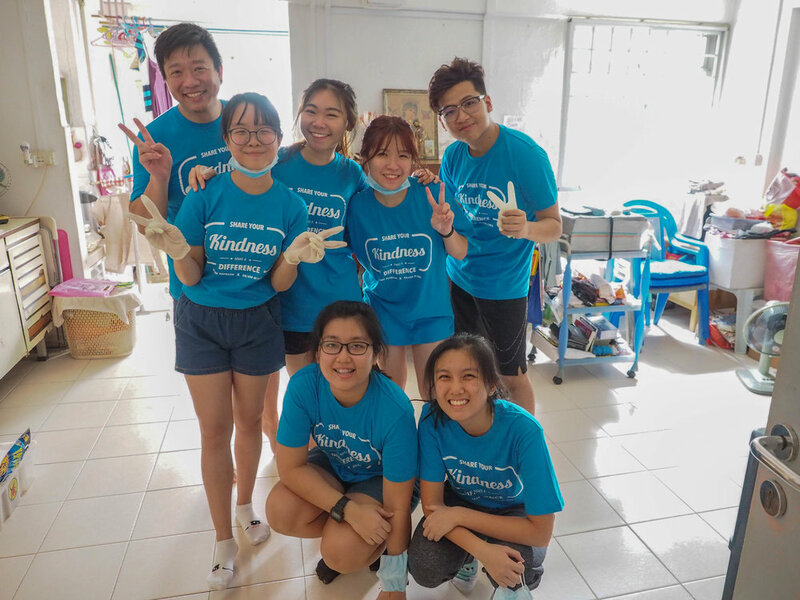 Blossom Home Refresh aimed to serve elderly residents for whom thorough cleaning of their homes is challenging, and to allow volunteers to cultivate kindness and appreciation of the pioneer generation. It was hoped that the activity would enhance intergenerational cohesion and understanding. 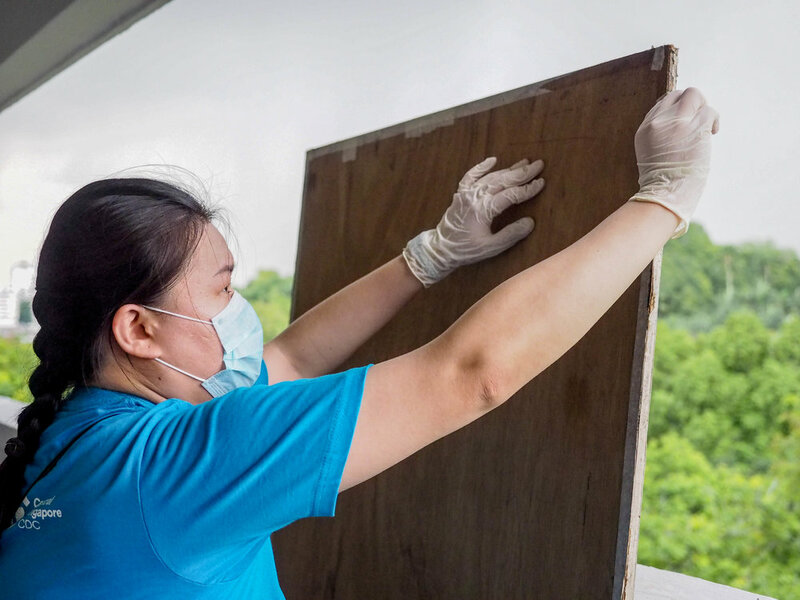 Toiling against bedbug-infested mattresses, dusty corners, and discoloured walls for almost 8 hours, our volunteers strove to create a more comfortable environment for the participating seniors to live in. For some, this meant overcoming a fear of cockroaches and other insects. For some, thinking of ways to remove persistent stains, and picking up unfamiliar tools and implements. And for some, transforming a natural aversion to dirt and grime to compassion and service. The exertion was both physical and mental. Blossom Home Refresh on the 1st of September was, as a 39-year-old volunteer put it, a “precious time” for both the elderly and volunteers. If you have the passion to lead, serve and contribute back to society through voluntary work, and are between the ages of 13 and 35, embark now on the Blossom Youth Development Path. Click here to find out more.